Airport Competition Regulation in Europe focuses on the issue of airport charges and its impact on airport competition in the EU, especially following the introduction of EU Directive 12/2009 on airport charges. Over the last thirty years, airports within the EU – including nearly a hundred newly built or rebuilt during that time – have undergone a major economic transformation. From mere infrastructure providers, airports have become diversified and complex commercial enterprises in competition with each other. This book is the first and only one thus far to deal with the legal issues surrounding this important development, focusing on the impact of EU Directive 12/2009 on airport charges. This book first discusses the nature of airport charges, the factors determining their price and structure, and then, proceeds with an analysis of the basic provisions of the Directive and on the effects of its implementation in the EU Member States. Furthermore, this book encompasses the legal assessment of the current trend of vertical agreements between airports and airlines on the basis of existing case law by the Commission and ECJ on airport charges which is central to the above discussions. This book describes the evolution of the basic features of airport competition in the EU, and in particular, the issues of airport market power and State aid to airports which helps setting a successful strategy for airport charges. 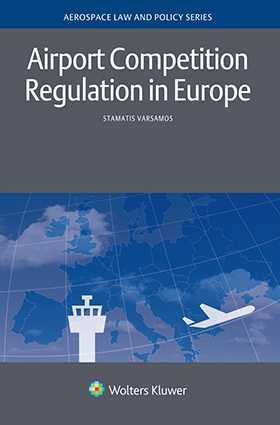 As an introspection of the economic regulation of EU airports due to the liberalization process, structural changes in the ownership status of many EU airports, and the emergence of new airline business models (such as low-cost carriers), this book serves as an indispensable tool for practitioners, policymakers, and academics in aviation law.